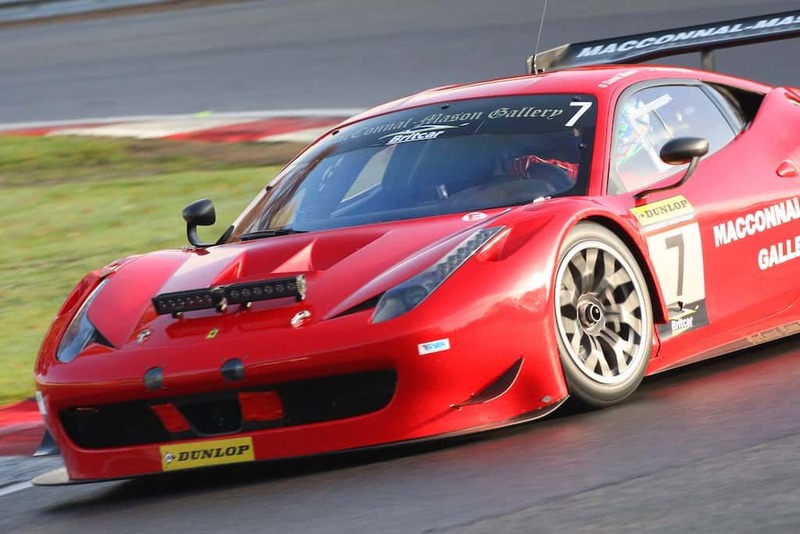 Scottish race ace Ross Wylie has followed up his 2017 Britcar Endurance Championship honours by claiming Britcar’s Sprint Class 1 title after another stellar season. 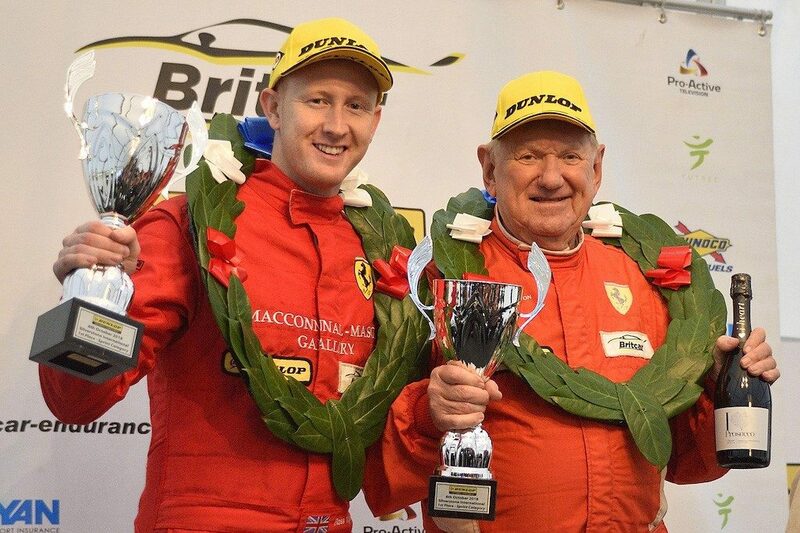 The 27-year-old from Thornhill near Dumfries recorded first and second places in the final races at Brands Hatch last weekend (17-18 Nov). Sharing an FF Corse Ferrari 458 GT3 with car owner and businessman David Mason, the duo accumulated a very impressive 13 class podiums including four class wins in the 14-race series.Unfortunately due to the combination of dropped scores – the duo having just one non-points scoring finish this year – and a lack of entries in their class in the two Brands “night” races, they just missed out on snatching the outright Sprint title. For the fourth time this season, Wylie claimed pole-position – by almost a second – in the multi-class field and built up a massive lead before handing the Ferrari over to Mason on lap 38 of Saturday’s 50-minute race. Cruelly Mason was overtaken on the 56thand final lap, the Wylie/Mason Ferrari ultimately denied a second consecutive outright race victory by a mere 0.925secs, Ross having set a fastest race lap over two seconds faster than any other car. Starting from the front row of the grid in Sunday’s 50mins race, Wylie again built up a commanding lead before pitting under Safety Car conditions on lap 34, Mason this time managing to stay ahead to record another class victory with Wylie earning his 11thrace fastest lap of the season. “A pole, double podium and two fastest laps was a great way to finish the year. David and I won the Class 1 Sprint championship but ended up second in the overall sprint Championship. I’m happy with that title but of course always want more! We came very close to getting the double victory, losing the lead on the final lap of Race 1 but it was a good race nevertheless. We bounced back in Race 2 starting from second place on the grid. I took the lead on the outside of Turn 1 and then got my head down to stretch out a one-lap lead before handing over to David. He did a great job to bring the car home to victory.